New analysis from the Chartered Institute of Housing (CIH) reveals that more than 165,000 homes for social rent have been lost in just six years. The CIH is predicting that loss will reach 199,000 by 2020 — making it increasingly difficult for people on lower incomes to access a decent home at a price they can afford. Figures from the Ministry of Housing, Communities and Local Government and Homes England show that 117,828 local authority homes and 47,869 housing association homes for social rent were lost between 2012 and 2018. Despite some continued new-build for social rent, numbers have continued to fall — because of right to buy sales and properties being converted to ‘affordable rent’ or demolished. Based on current trends, CIH is projecting that 199,000 homes for social rent will have been lost between 2012 and 2020 — 140,828 council homes and 57,869 housing association homes. Those figures include the loss of an estimated 3,000 homes due to the West Midlands pilot of the extension of right to buy to housing associations. Terrie added: “We have seen some welcome progress in recent months, including the removal of the Housing Revenue Account borrowing cap to help councils build more homes and the new investment partnerships between housing associations and Homes England. Terrie commented: “Not only are we failing to build enough homes for social rent — Right to Buy means we are losing them at a time when millions of people need genuinely affordable housing more than ever. 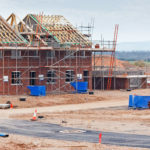 Responding to the analysis, Cllr Martin Tett, Housing spokesman at the Local Government Association, said: “These figures show that our national housing shortage remains one of the most pressing issues we face. The last time the country built more than 250,000 homes in a year, in the 1970s, councils built around 40% of them. “By recently lifting the cap on councils being able to borrow to invest in new and existing housing, the Government showed it had heard our argument that councils must be part of the solution to our chronic housing shortage and able to resume their historic role as a major builder of affordable homes. Councils now need to be able to keep 100% of Right to Buy receipts and set discounts locally to ensure they can replace any homes sold.